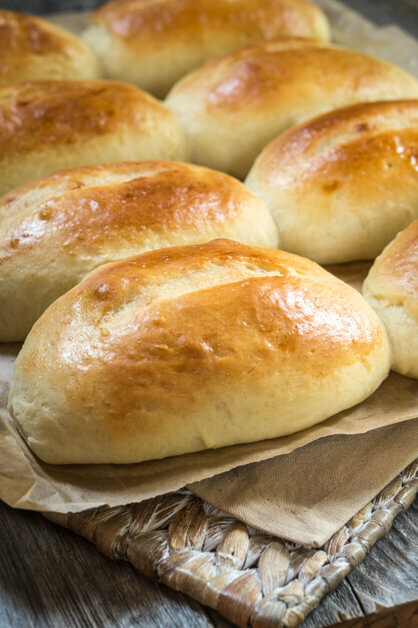 Homemade bread doesn’t have to be hard or take all day. 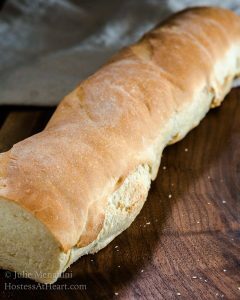 This Classic Italian Bread recipe uses only 6 ingredients and is ready in under two hours. It is time for our monthly Bread Bakers challenge. This month’s theme is “Breads from Italy” and is hosted by Anshie Dhar of the blog Spice Roots. Anshie instructed us to cover the country with types of bread. I flunked this instruction because I’m not sure what part of Italy this Classic Italian Bread recipe comes from. If I were to guess I would say Puglia or the southern part of Italy. That isn’t all I flunked. I made this bread three times before success! The first time I man-handled it and thought that was the reason it “deflated” before I had it in the oven. The second time it deflated again as soon as I scored it. Then I got to researching and determined that I was either over-proofing my bread or proofing it at too warm a temperature. I would say, I was doing both! My biggest problem in making this bread is over-thinking it. The recipe stated to proof it for one hour for the first rise and 20 minutes for the second. I proofed it like most of the bread that I bake which is 60 to 90 minutes for the first rise and 60 minutes for the second. Also, I covered my dough with plastic wrap and set it in my oven that I had just barely warmed. I read that the air temperature for proofing bread doesn’t need to be any warmer than 70°F. On the third go around, I followed the directions to the letter. A novel idea don’t you think? After one hour I gently deflated it by just pushing my fingertips into it to form a rectangle and keeping some bubbles in the dough. I folded it using the bâtard method and placed it on a cutting board covered with parchment paper. After a 20 minute proof, I baked the bread by sliding the parchment paper from the cutting board to the baking stone. You don’t need a stone but I have one and choose to use it. Hoping for a nice crust, I misted the walls of my hot oven with a spray bottle filled with filtered water to create steam. After the third attempt, this bread came out beautifully. You can see how the scores “bloomed” which didn’t happen on the earlier attempts. Note to self, simple can be delicious! John loved the flops, but he really loved the successful attempt! Left deflated with no bloom. Right proofed correctly. Bread doesn't have to be hard to taste good. 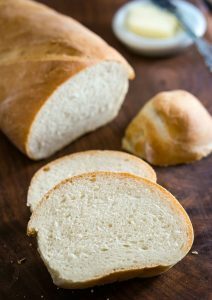 This Classic Italian Bread recipe uses only 6 ingredients and bakes up with a soft center and with a delicious chewy crust. Combine yeast, sugar, and water. Allow it to sit for approximately 5 minutes or until bubbly. Add 2 cups of flour, salt, and olive oil to the yeast mixture and stir until combined with a wooden spoon. Lightly flour a working surface and knead bread together until soft and silky. Approximately 10 minutes. Form a ball with the dough and put it into an oiled bowl, turning the dough once so it's oiled on both sides. Cover with plastic wrap and let it rise for 1 hour. Preheat oven to 400°F. If using a baking stone, put it in the oven while preheating. After 1 hour, turn the dough out onto a floured working surface. Gently deflate with your fingertips and form a rectangle. Form the dough into a batard or torpedo shape and put it on a baking sheet lined with parchment paper or a silicone mat. Alternatively, place it on parchment paper on a hard surface like the back of the baking sheet, pizza peel, or bread board. Set it aside to rise 20 minutes. Score the bread 1/4" deep with a lame or sharp knife and place the bread in the oven. Optionally spray the oven walls with filtered water to create steam. Bake for 20 minutes. Remove from the oven and allow to cool completely on a cooling rack before slicing. This bread makes a nice sandwich, french toast or just sliced with a slather of butter. If you liked this recipe you’re going to love these recipes too! What a gorgeous loaf of bread! 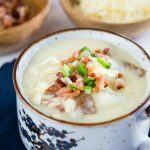 I love how easy the recipe is to make! Thank you Madi! This one was so simple to make too. my niece and I made this together… we did laugh though, she took an ice bath tonight so she thought it was funny you said to use bath water temp for the yeast! What a great time we had making memories together then enjoying the delicious bread together! An ice bath? Whoa, I am all about warmth. I’m glad you had a great time, I know your niece did! I loved baking with my Grandmother and still remember our times together in the kitchen. Just LOOK at that beautiful crust, and the tender, delicious bread inside… This loaf is a bread-lover’s dream! Thank you Michele! It is so easy to make too. I love a bread recipe that gives me fluffy insides and crusty and chewy outsides. I remove the insides and give them to my husband and smear butter on the crust. 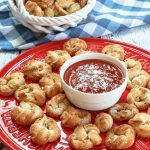 This bread recipe is perfect for dipping in those olive oil and spice dips! Thank you! 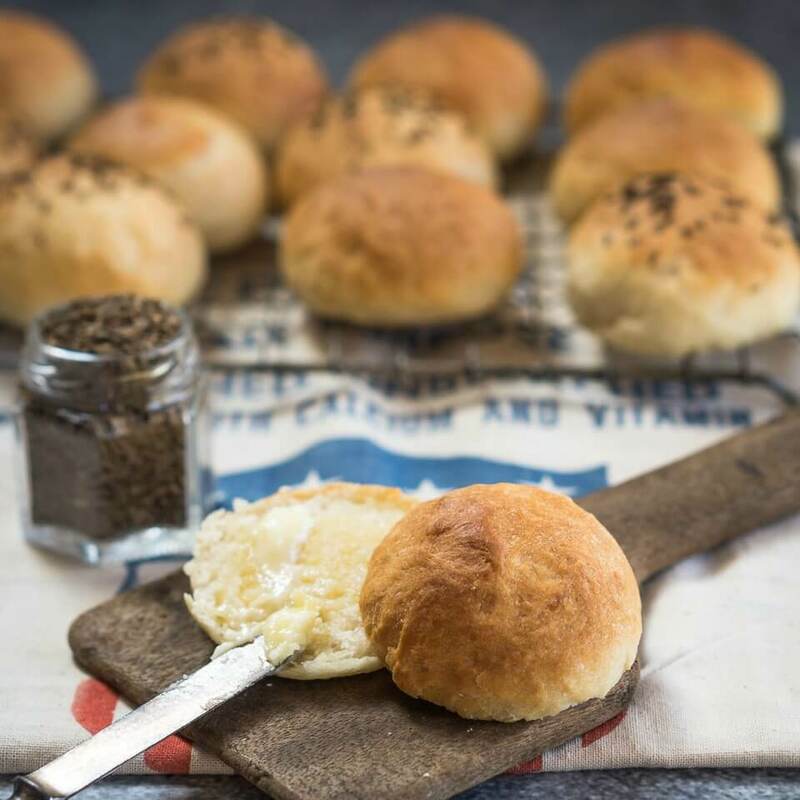 Nothing better than homemade bread and we love dipping it in some great olive oil too! This bread looks perfect! Look at those nooks and crannies! 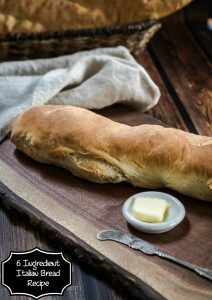 There is nothing better than a slice of homemade Italian bread slathered with butter. YUM! Thank you, Ashlyn. We love having Italian Bread with our Sunday dinners! You are the queen of bread baking!! Italian bread is one of my favorites!! Thank you so much, Michaela. I just love baking bread for some reason. Maybe cause it goes so well with wine! Practice has definitely made perfect! What a lovely loaf of bread, thank you for sharing your knowledge and bread making tips and tricks! Thank you Debra! Baking bread is a process and it drives me nuts when I have to guess what the baker did. Isn’t fresh bread the best! With a slather of butter. Oh heaven! Thanks for this recipe! I don’t think there is anything like the smell of baking bread unless it is a warm slice slathered in real butter! How perfect are these loaves!!! There is nothing like homemade bread!!! This looks like a great one for sandwiches, garlic bread or to turn into crostini! Love it!! I’d just love to turn this loaf into garlic bread. Thank you! That pic with the melted butter is making me want to run to the kitchen to grab some bread and butter. Problem is that I don’t have this loaf in my kitchen. Thank you! You are so darned sweet! I’m a sucker for bread and melty butter. Lovely looking Italian bread. It looks just perfect. Wow! Your bread is fantastic! Yum yum yum! I am a big fan of bread. Have a wonderful week, Julie! Thank you so much! I’ve made this one 5 times and it’s one of Johns favorites. It’s now a permanent addition to our bread menu. I hope you have an amazing week too! thats a gorgeous loaf , there ! am scrolling up and down the page to muster up courage to bake a loaf like this – someday sooooon :-)) well done ! Thank you! 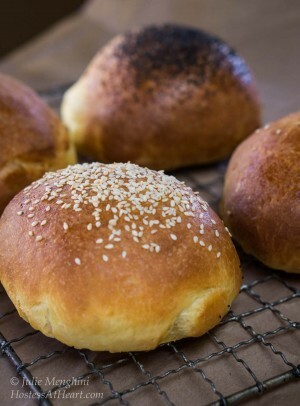 This is a great one to try if you aren’t an experienced bread baker. Please let me know if you have any questions, I’d be happy to help you out! Thank you, Loretta! I usually have bread with wind and dinner on Sundays and then leave the bread alone…not the wine LOL! This one though is creeping into my weeknight dinners. I just made it for the 5th time in about 4 weeks. My little Italian father-in-law said it took him back to the bread he used to eat. What a compliment. I love this beautiful crusty bread. This bread, some cheese and a bottle of red and I would be one happy mama! You and me both Michaela! That’s one of my very favorite pastimes! Thank you, Justine! That would be amazing. I got some new olive oils that needed taste testing and it was great for that too. I love the classic Italian bread, it is my favorite! I never made it homemade. I going to have to do that now! Thank you! It’s a great quick and easy recipe too. 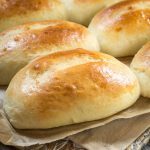 I love homemade bread and I agree that it doesn’t have to be hard! Your bread looks amazing and it’s making me think I need to make some bread soon! Thank you Lisa! I made my 5th loaf of this yesterday. I love how quick and easy it is. I love fresh baked bread! My daughter and husband do most of the baking in this house, so I’ll be passing along the recipe to them! Thanks, Michelle! You’re lucky you have a baker in your house to help you a bit. Thank you so much, Veena! I actually made this one for the 4th time today. I’ve never made my own bread before because I’ve always been intimidated by it. You make it look so much easier and thank you for sharing all that you learned from it! I’ll have to try this soon because I buy Italian bread ALL THE TIME from the store! Homemade is so much better! Thank you, Ashlyn! It is so quick and easy. It would make a great one to try since it has minimal ingredients. Let me know if I can answer any questions for you. Hi Julie tried out the recipe for the simple Italian bread. It turned out really nice the crumb especially. However, my loaf was a bit fattish even though I let it proof for 20 minutes only. Thank God the dough did not deflate after slashing it.Used half the loaf for bruschetta with watermelon topping and the other half used it up with some soup. I’m glad this worked for you Mayuri. I think for final shape really depends on how tight your dough is before baking. Regardless I’m sure it was delicious. Thank you for letting me know! I have a heck of a time following a recipe too, which is probably why I don’t bake often – thank you for sharing your lessons learned!! Pretty sure I would have stood in line for your first couple of attempts and wouldn’t have noticed anything except when you put them side by side! Looks just amazing!! Homemade bread is the BEST!! Thank you, Debra! I actually made this one for the 4th time today and my mother-in-law snatched the leftovers. Making another one tomorrow. This looks amazing! My husband has been all about baking bread lately. I’ll be sharing this recipe with him so he can make this for me! I don’t know if John would every try baking bread or not? This one is pretty quick and easy for a yeast bread. Let me know if you get to try it! This sounds amazing!!! I think I can smell it from here! Thank you, Mimi! The smell of baking bread is amazing isn’t it? Third time was really a charm! Glad to hear of the effort you put into making this a success, although I am guessing all three would have tasted good. Thank you, Holly! I have to admit that none of them went to waste. Julie I’m glad you didn’t give up otherwise how would we get to see such a beautiful simple bread. Would love a few slices to make bruschetta. Thank you Mayuri. It would definitely be great for a bruschetta! Thank you Judi! I can’t believe how simple this one is too. It’s going on my Easter table since I can whip it up quickly. I hope you have a great Easter if I don’t talk to you before then. Interesting…that seems like a lot of yeast for the amount of flour, I’m not surprised it proved so quickly! Thank you! I really should have known better Elaine. It was a learning experience as baking can be and I’ll make this one again since it’s so simple and quick. Glad you stuck with it! It looks fabulous, especially that buttered slice! The great thing about bread is that even the failures still taste delicious. This bread is simply gorgeous! I can’t wait to try it! Thank you! 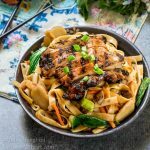 It is an easy one to make and easier to eat! I’d say practice makes perfect! These loaves look wonderful and I bet they taste as good as they look too. Wow Julie! You just can’t get bread like this at the market. And honestly, I can’t remember the last time I’ve seen such good looking bread at my local bakeries! So nice and soft with a beautiful crust. And I love your photography! Thank you so much Anne! I love baking bread and really appreciate your sweet comment on the photography! Some days it just doesn’t work you know? Amazing!! I can not wait to make this! Thank you! Thank you Annie! It was really delicious. The third time was definitely the charm. Gorgeous. I am soooooo glad that you persisted. What a gorgeous loaf! Such beautiful crumb! Well done, Julie. You get this month’s breadventure award for not giving up! That is a gorgeous loaf of bread! It’s hard to believe you had any flops beforehand :). And the pic with the melted butter? OMG. That’s all I can say. Warm bread with butter is basically my favorite thing on earth! Thank you, Kelsie! I have to admit that the props didn’t fare too well. Slices kept disappearing! I don’t know how anyone can resist warm bread and butter! They aren’t human and I don’t think we could be friends either. Thanks for stopping by my friend! Loved this post Julie! Simple can be gorgeous too!! I have pinned it and will be trying soon!! Thank you Sonal! We really enjoyed it. Please let me know what you think.